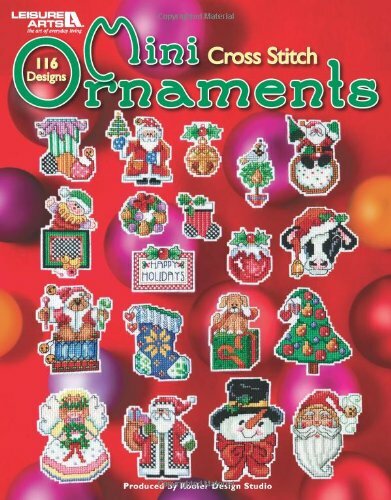 Get into the holiday spirit when you cross stitch these delightful mini ornaments. With 116 designs to choose from, you are sure to find just the right ones to stitch for gift giving or to decorate your tree. Choose from Santas, angels, snowmen, wreaths, candy canes and more, created by Linda Gillum, Barbara Baatz Hillman, and Sandy Orton of Kooler Design Studio. Whether you are relaxing at home or stitching on the go, you will enjoy working on these quick-to-stitch and easy-to-finish ornaments.